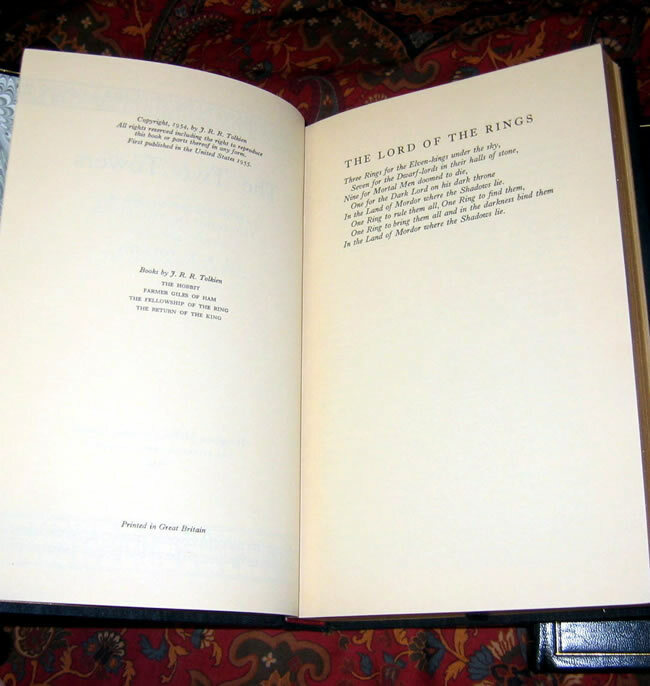 The Lord of the Rings, 1st US Edition, 1st Printings, - Custom Fine Binding - Gates of Moria - The Lord of the Rings, by J.R.R. Tolkien. 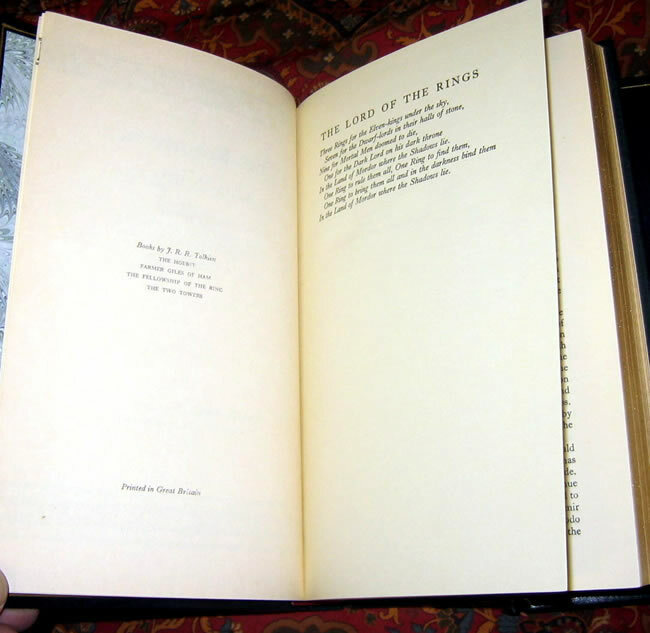 Published by Houghton Mifflin, 1954/55/56 These are the 1st US Edition, all 1st printings or impressions. 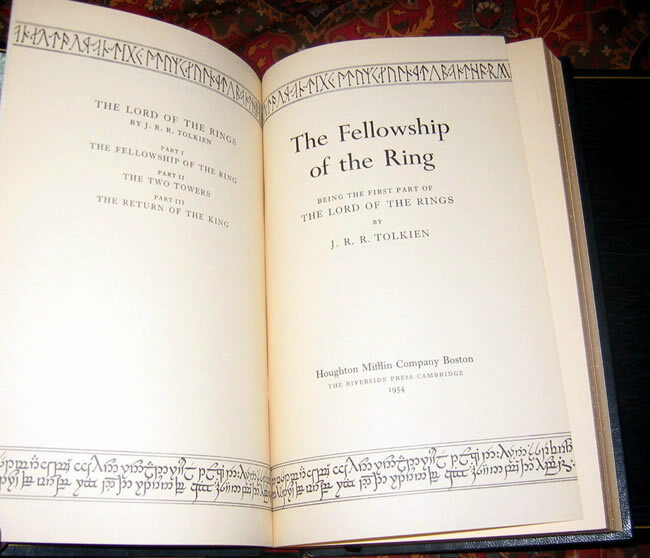 These are the 1st US Edition, all 1st printings or impressions. 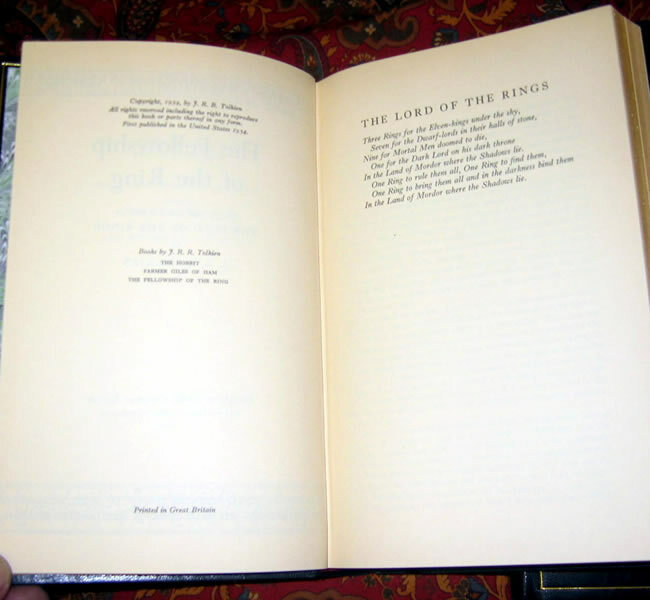 The Fellowship of the Ring is a 1st impression published 1954. 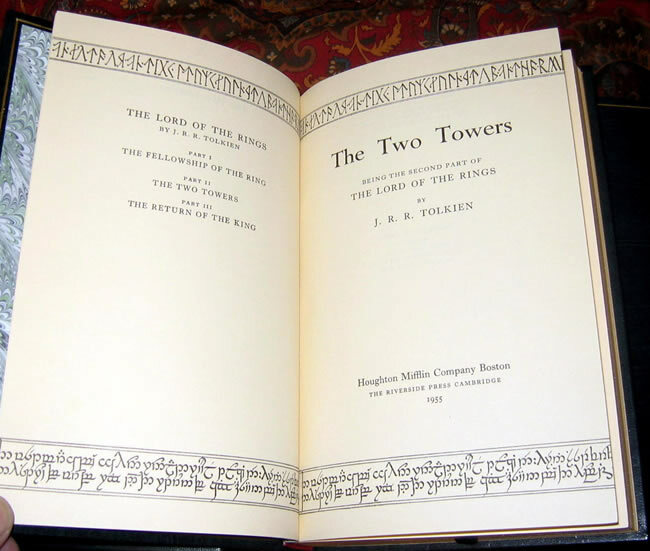 The Two Towers is a 1st impression published 1955, one of only 1000 copies originally published, the scarcest of all the original 1st edition 1 impression books. 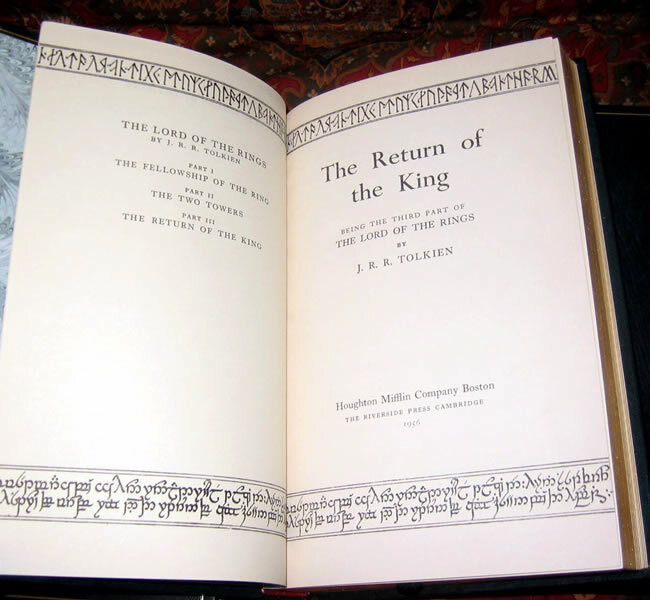 The Return of the King is a 1st impression dated 1956, 1st State with signature mark '4' and the infamous slipped type. 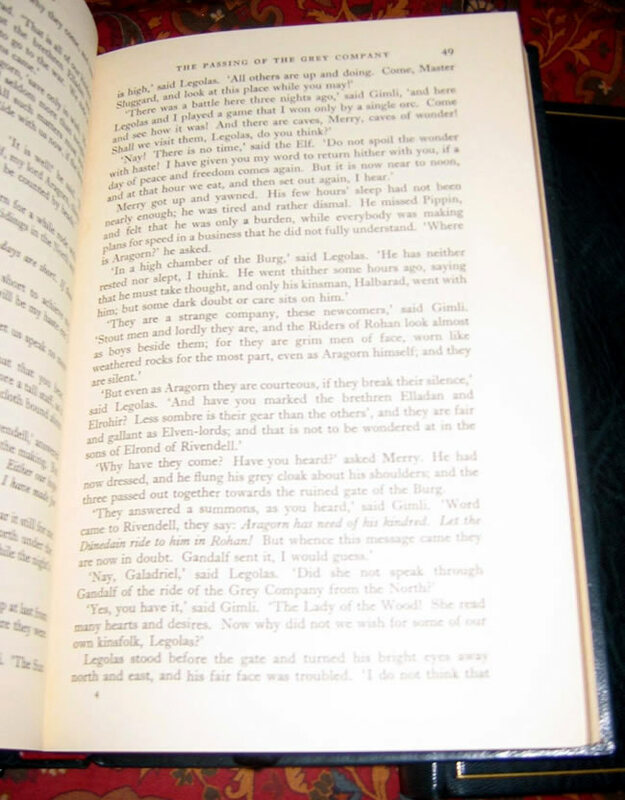 The set is fully rebound in Forest Green Morocco Leather, all edges trimmed and gilded, with Gilt stamped design of Tolkiens original line drawing "The Gates of Moria", split between the spines of the three volumes. 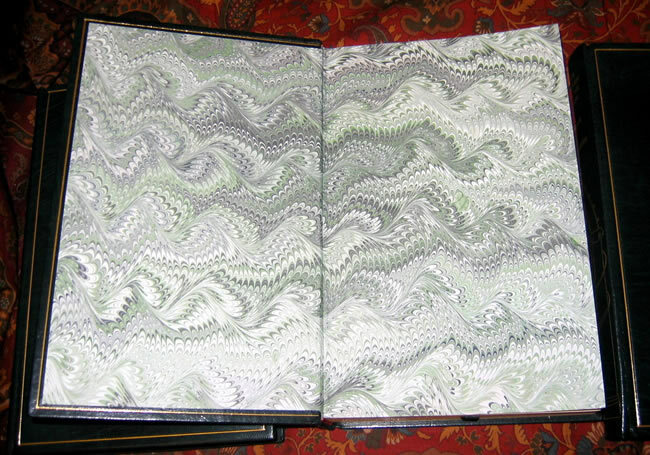 The set is further characterized by custom Marbled endpapers by Joan Ajala of Australia, silk ribbon markers, and is housed in a custom slipcase cover in matching marbled paper. This is a beautiful design, executed by one of America's premier binders.